The General Services Administration has taken $20.7M from the government's Technology Modernization Fund for the development of a new cloud-based pay and personnel management system, Federal Times reported Tuesday. The funds will support the GSA NewPay project that was meant to be a 10-year, $2.5B contract the agency awarded to teams led by Carahsoft and Grant Thornton. 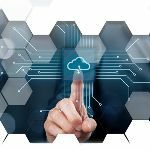 The General Services Administration has secured a budget from the Technology Modernization Fund to move its payroll system and human resource functions to a commercial cloud-enabled Software-as-a-Service product. The TMF Board said Monday that GSA’s system is “in serious need of modernization.” With the funding, the agency will migrate all of its 21,000 users to the NewPay payroll system, establish a new work schedule and leave the management system integrated into the new payroll platform. 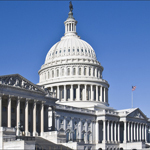 The House Appropriations Committee released a spending bill adding $25M to the Technology Modernization Fund intended to provide assistance to agencies with crucial information technology programs, Nextgov reported Tuesday. The legislation is the tenth spending bill seeking to reopen parts of the federal government following the longest shutdown in U.S. history. House lawmakers did not include an additional budget for the Technology Modernization Fund in a recently passed bill that would reopen federal agencies affected by the government shutdown, Nextgov reported Friday. The Technology Modernization Board has awarded $23.5M in second round of funds to help three federal agencies upgrade their information technology infrastructure, Federal Times reported Monday. The General Services Administration and the departments of Agriculture and Labor were the award recipients under the Technology Modernization Fund’s round two. David Chow, chief information officer at the Department of Housing and Urban Development, told Federal News Network in an interview published Friday that the Centers of Excellence program and the Technology Modernization Fund are part of HUD’s efforts to transform its financial profile. The report said HUD received $5M in September as the first installment of the $20M loan approved by the TMF board. Rep. Will Hurd, R-Texas, has said the Technology Modernization Fund Board will possibly receive the appropriations set aside by House lawmakers for fiscal year 2019 modernization projects, FedScoop reported Tuesday.